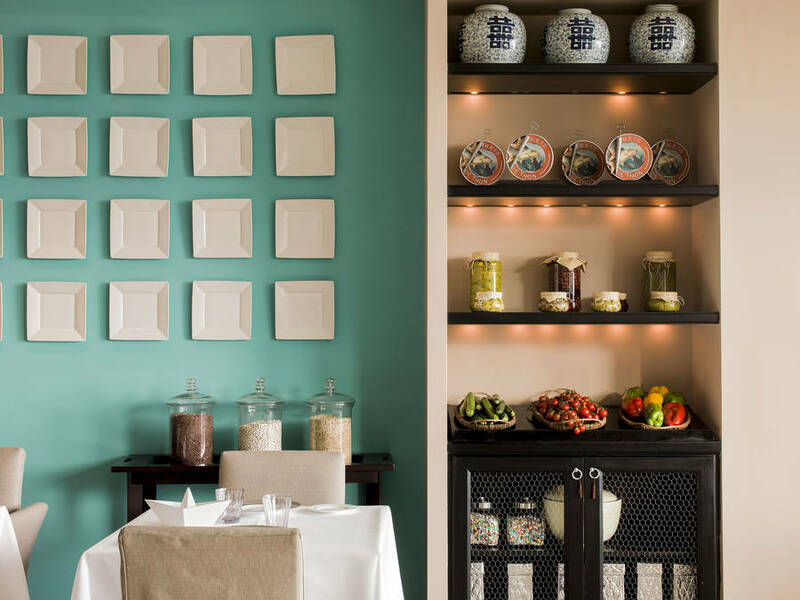 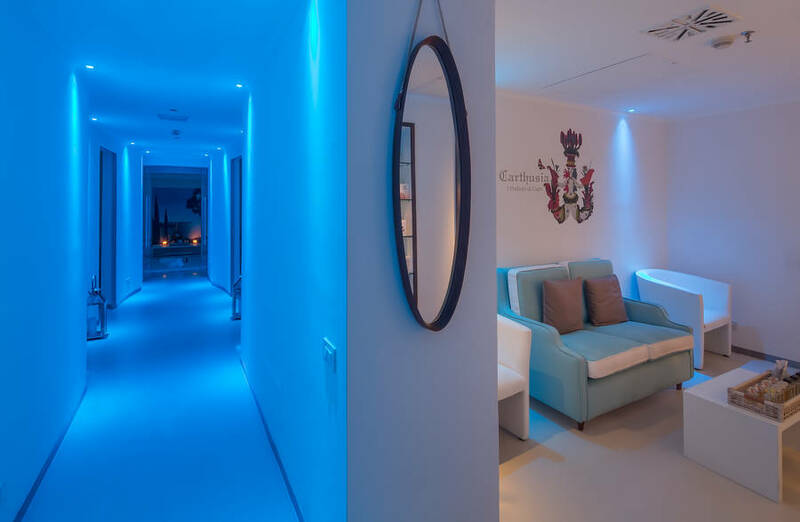 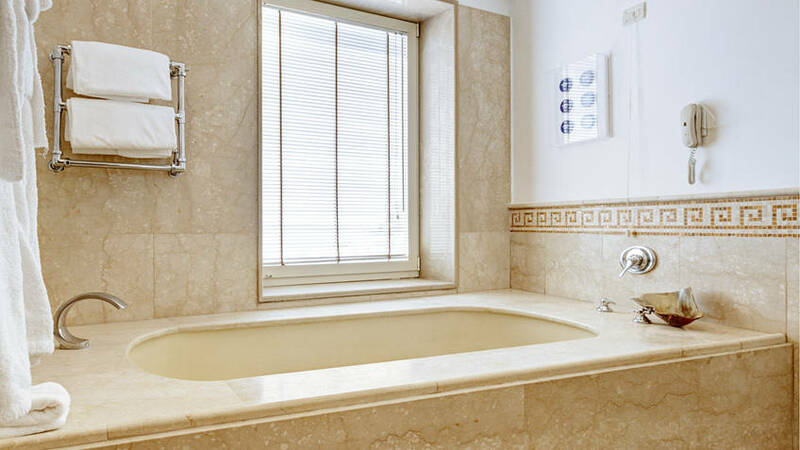 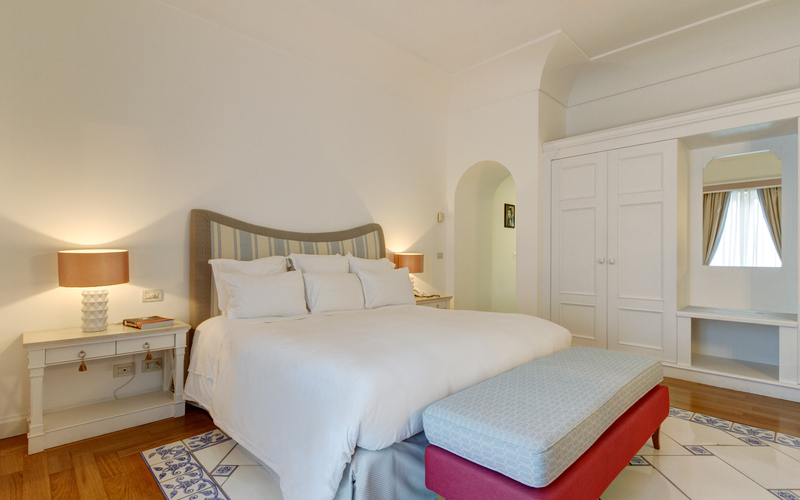 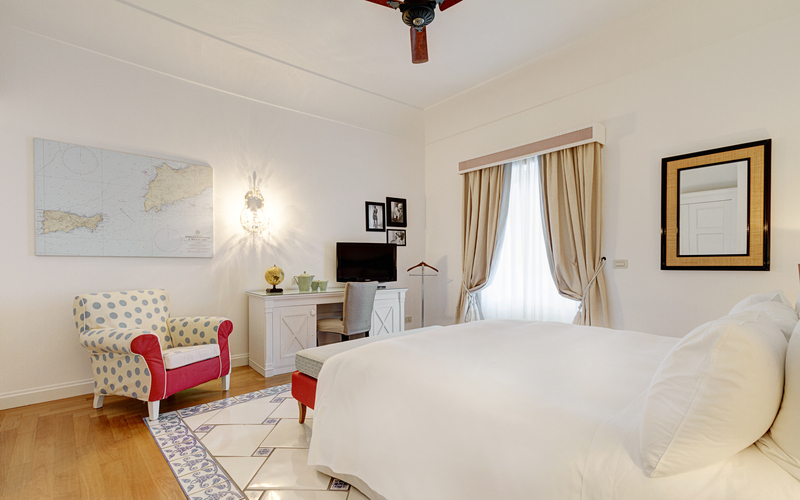 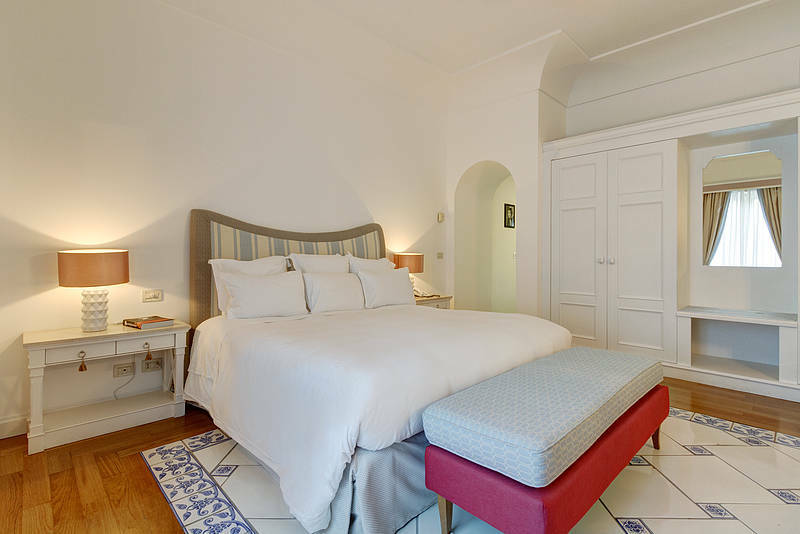 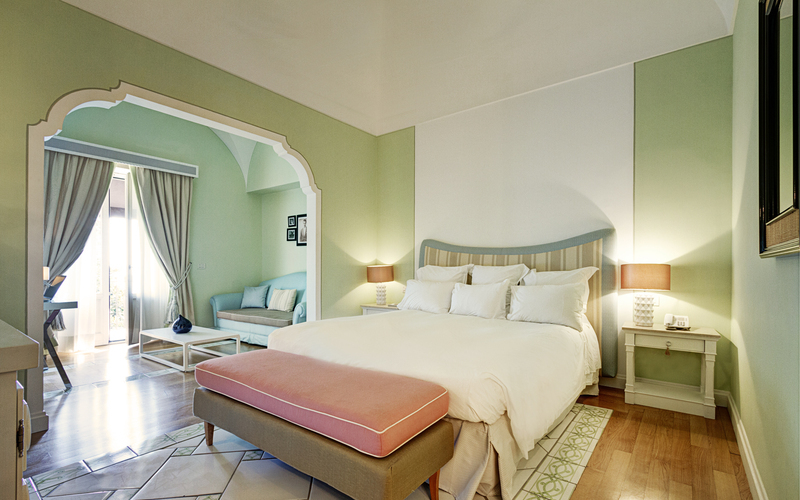 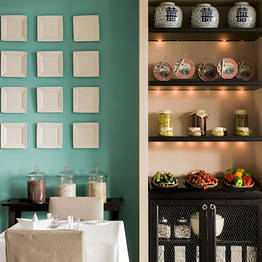 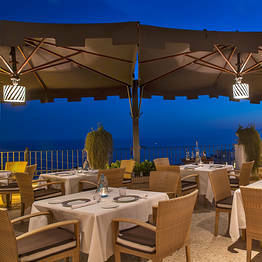 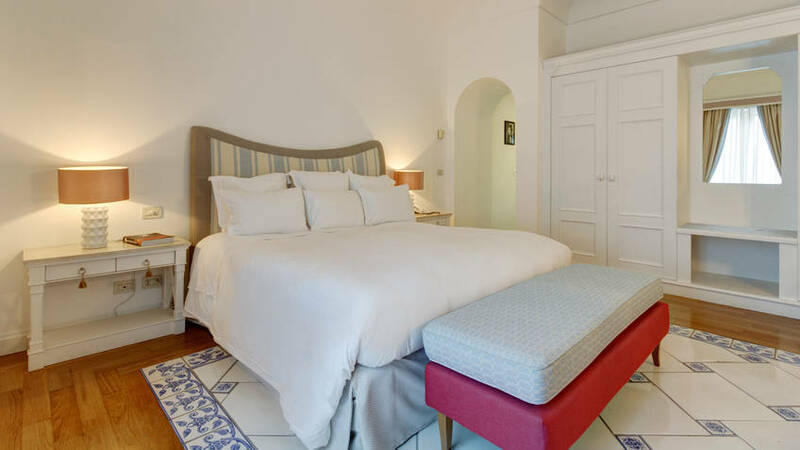 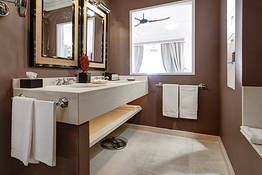 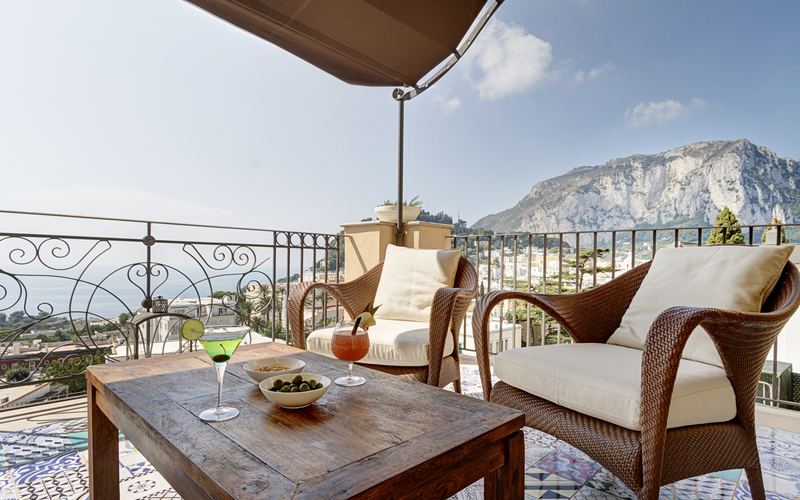 Capri Tiberio Palace Capri: 3 reasons to book here | Capri Booking. 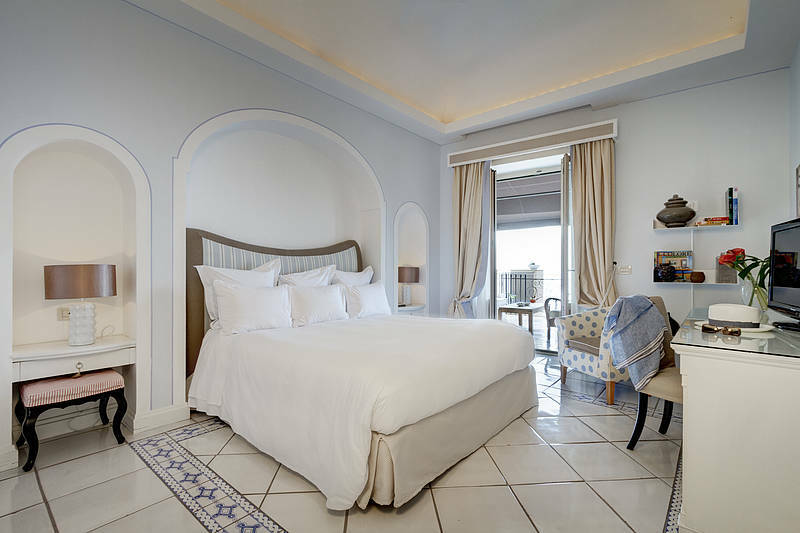 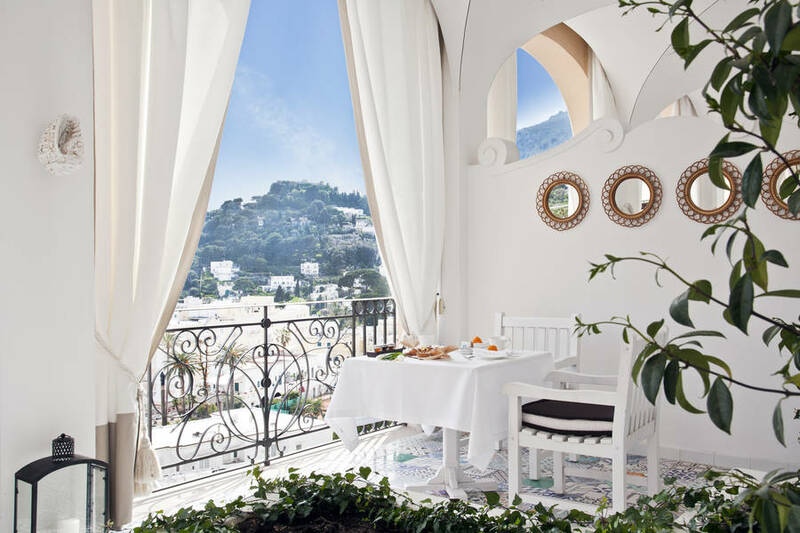 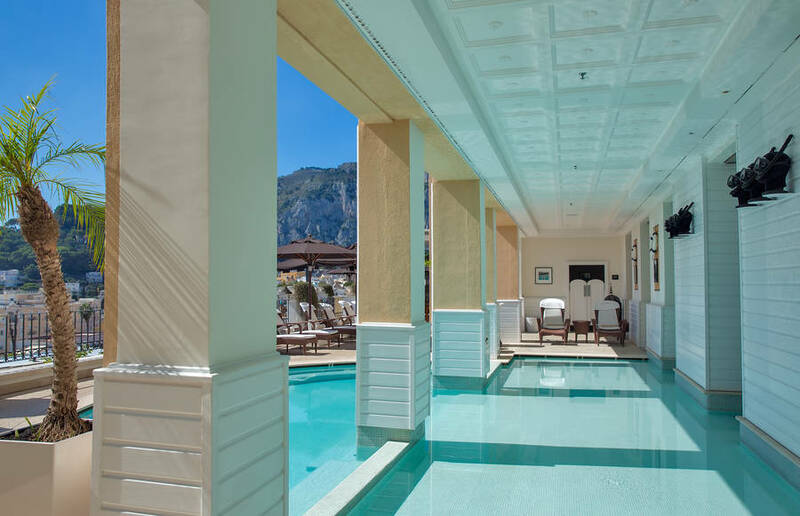 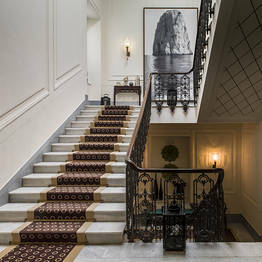 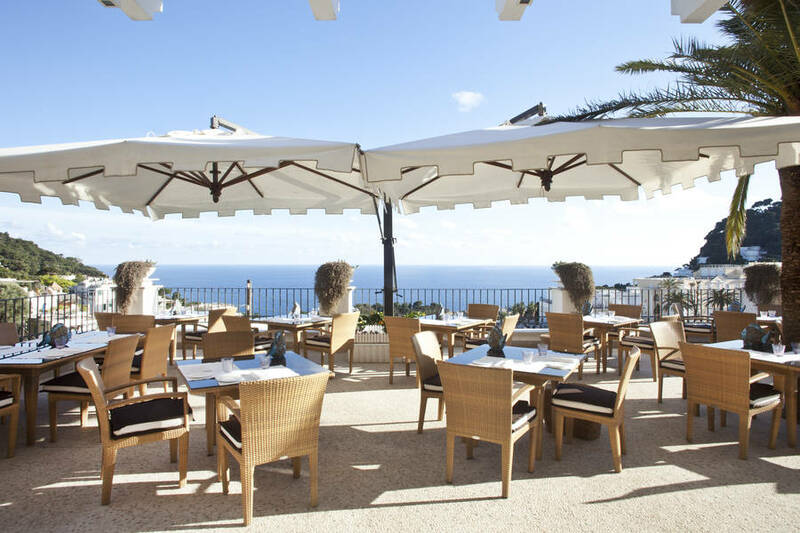 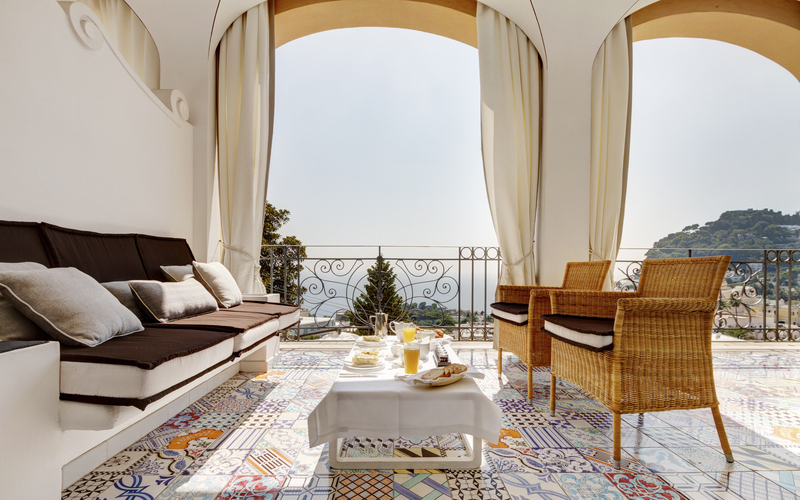 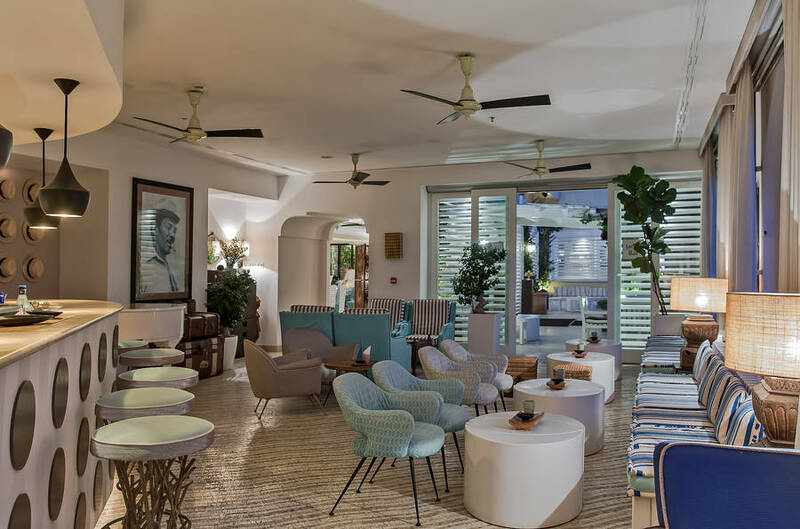 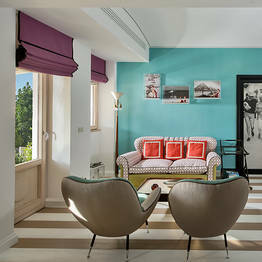 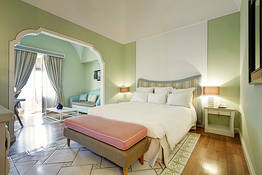 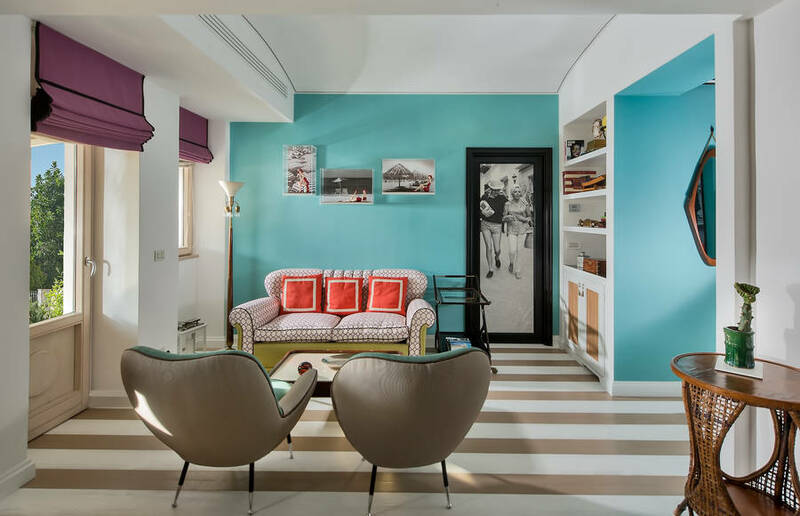 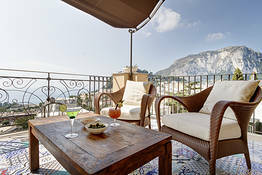 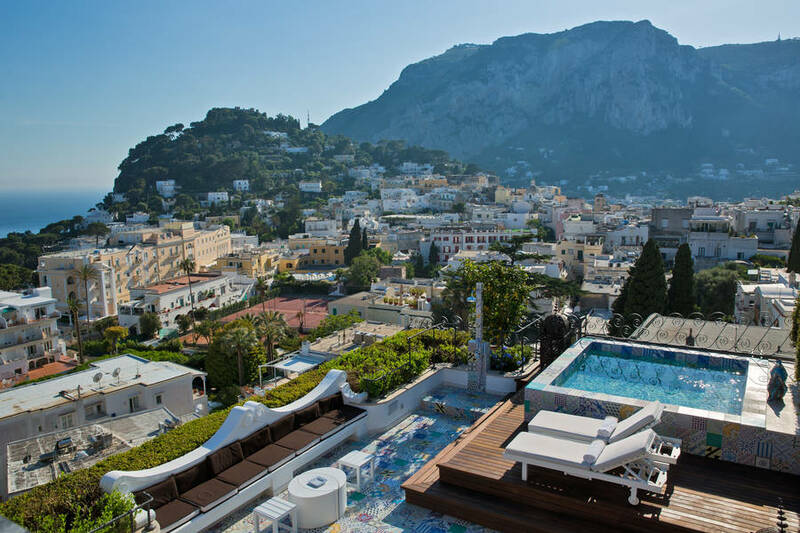 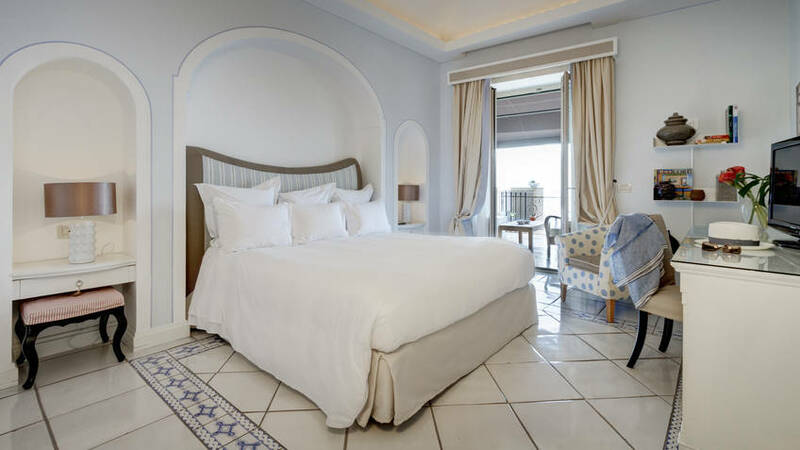 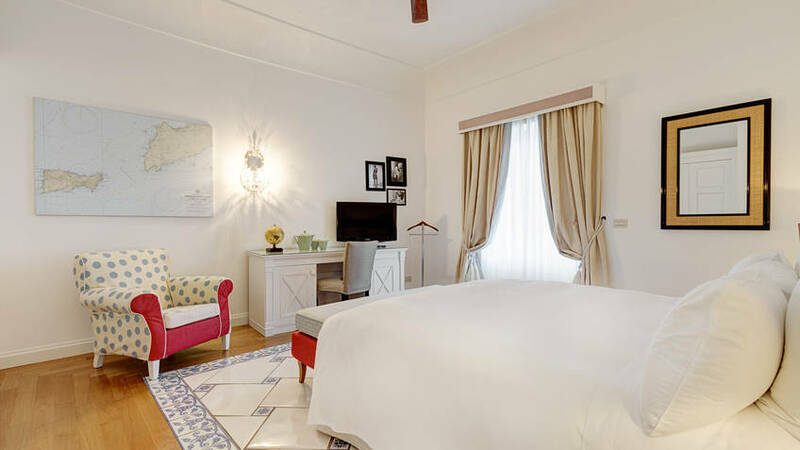 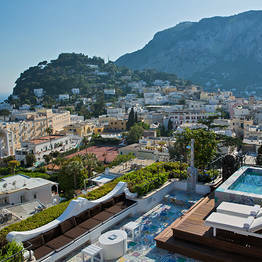 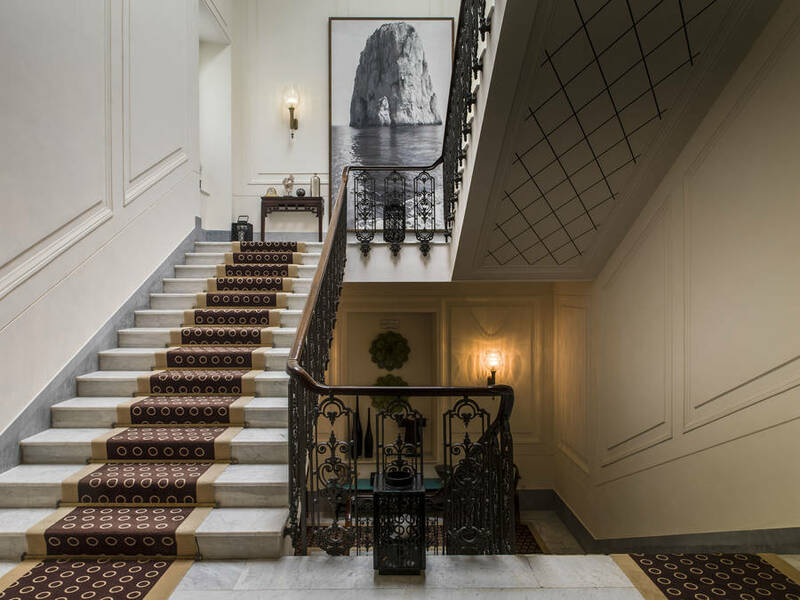 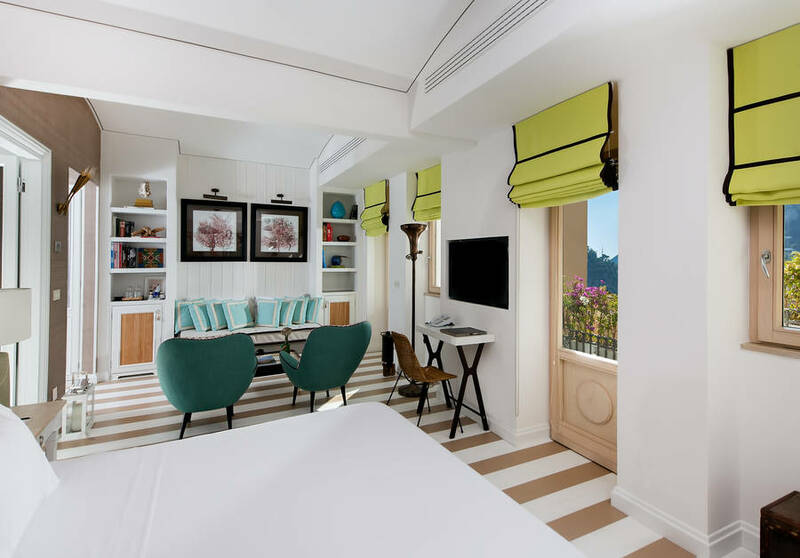 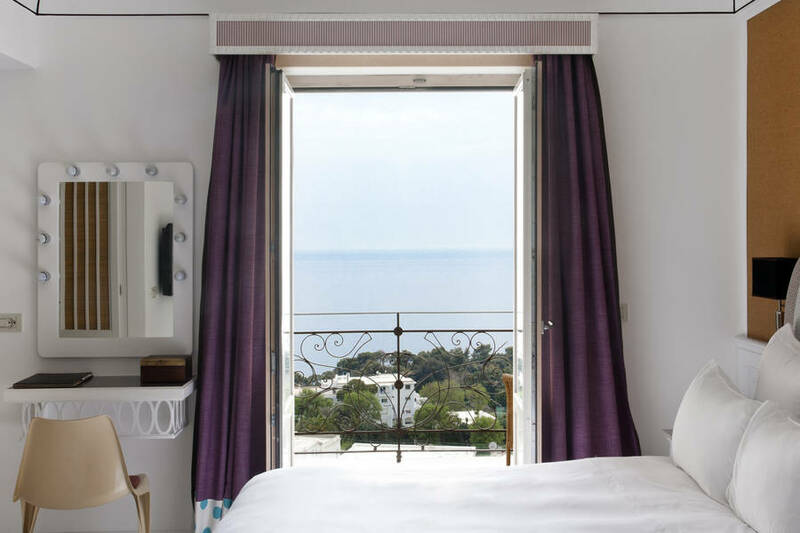 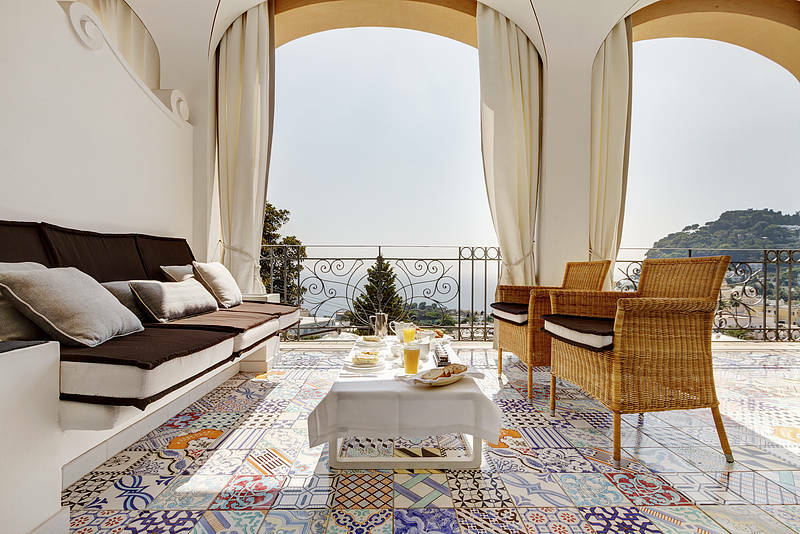 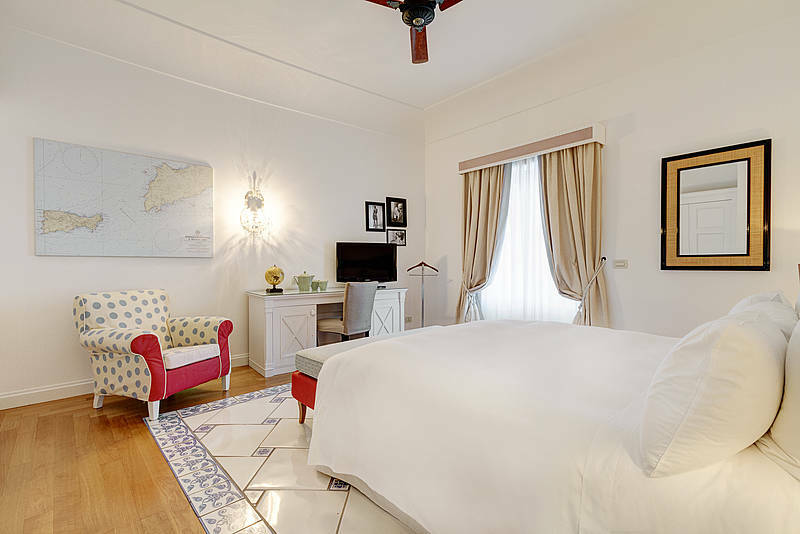 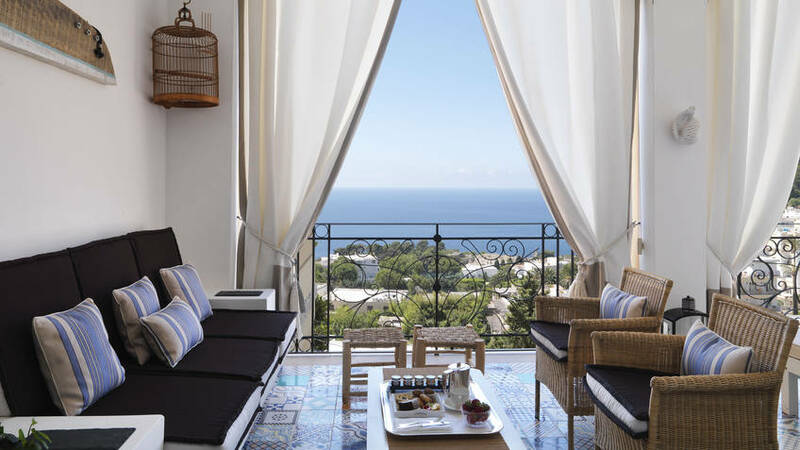 Close to the legendary Piazzetta, with fabulous views over the town and the sea surrounding Capri, Capri Tiberio Palace is arguably the most beautifully located 5 star hotel on the whole island. 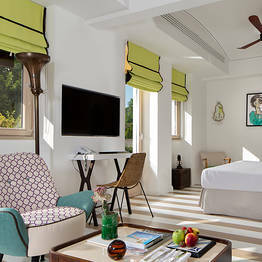 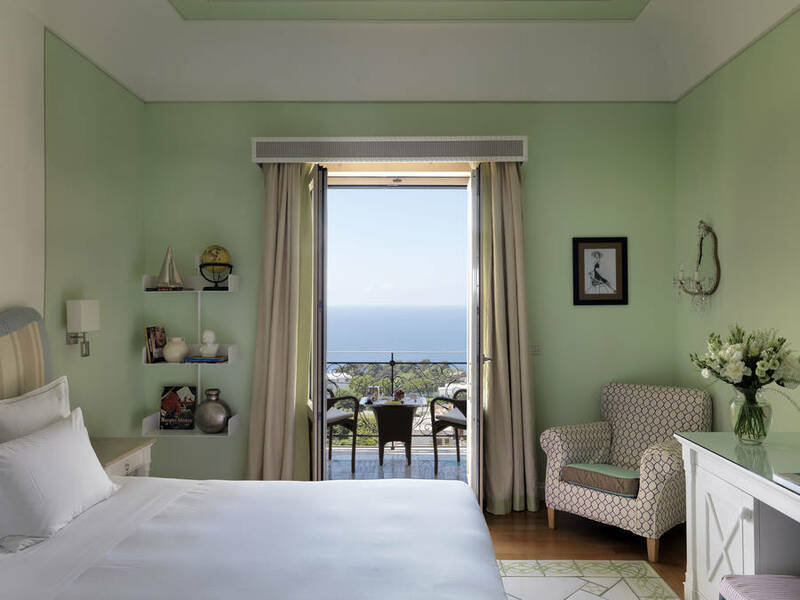 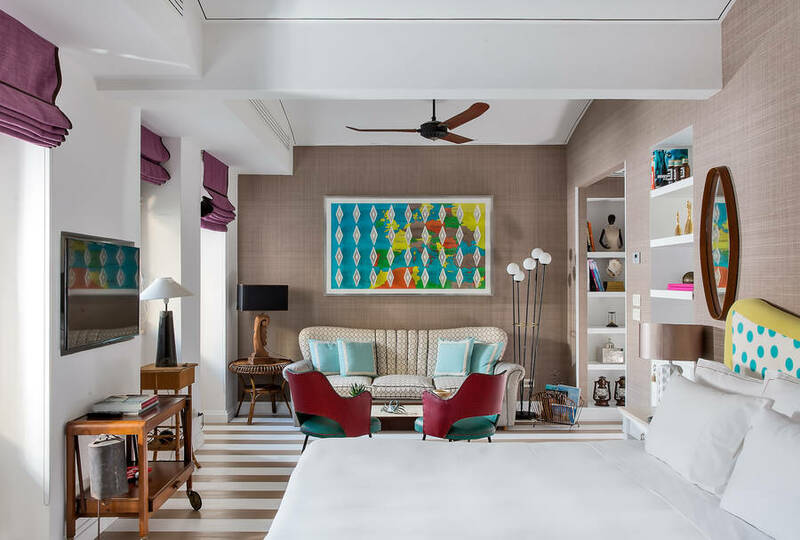 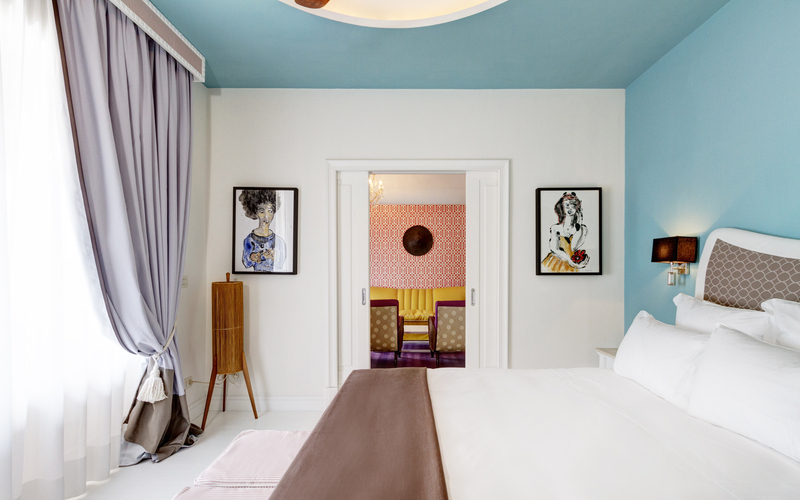 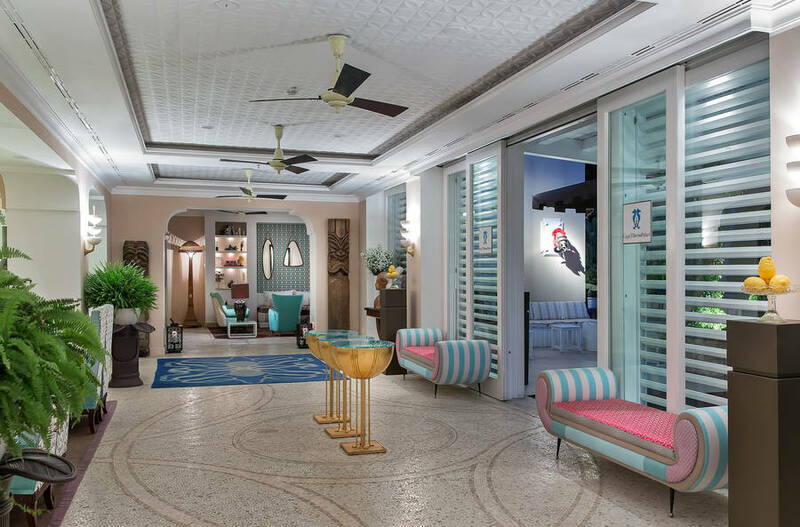 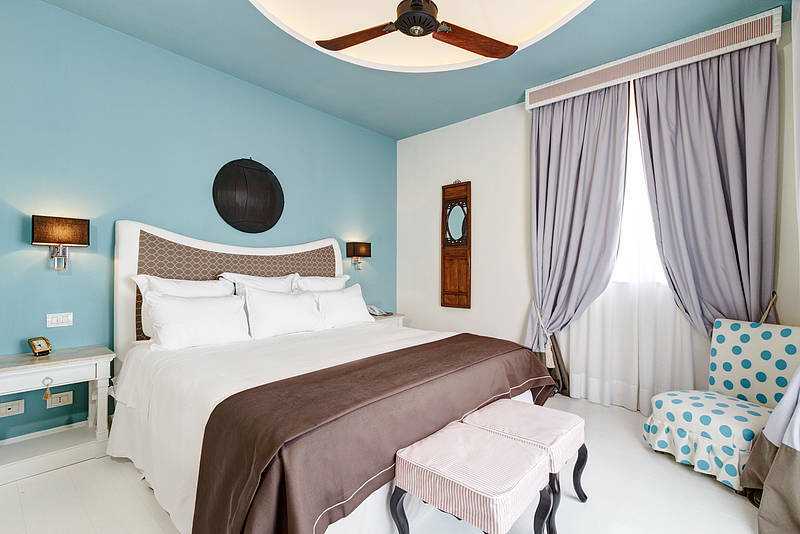 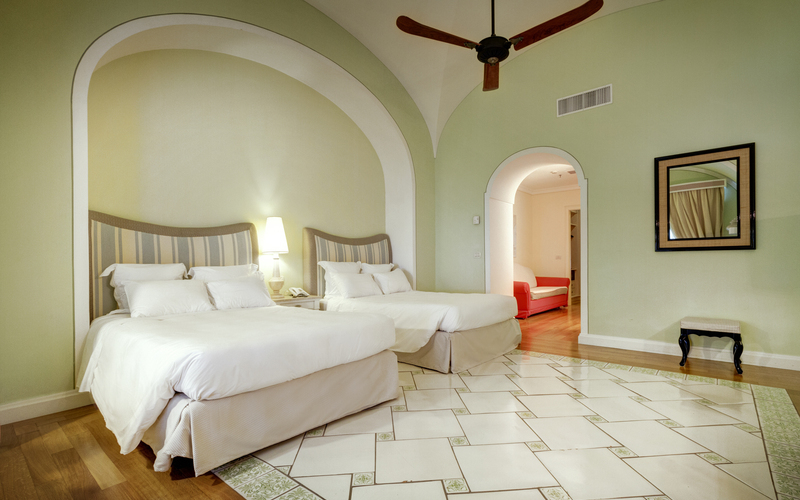 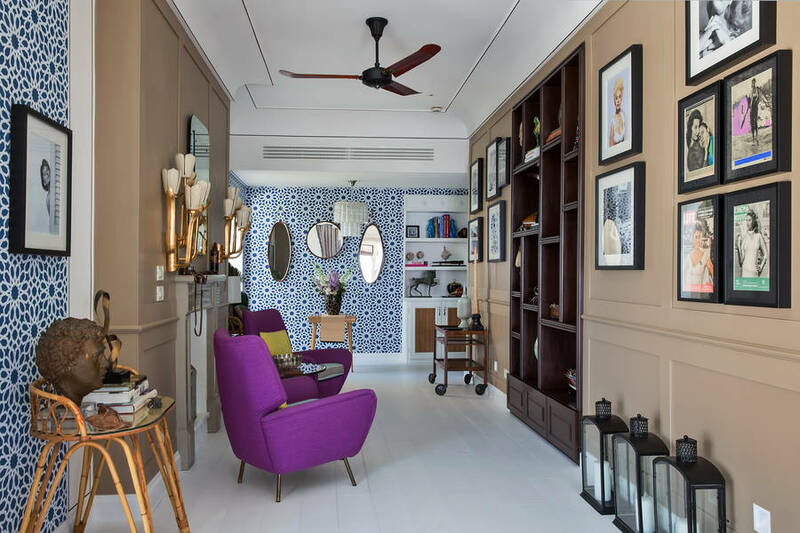 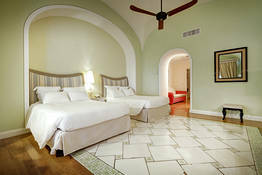 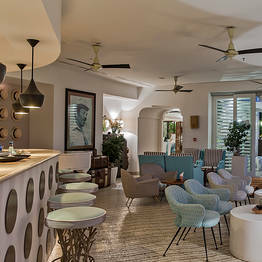 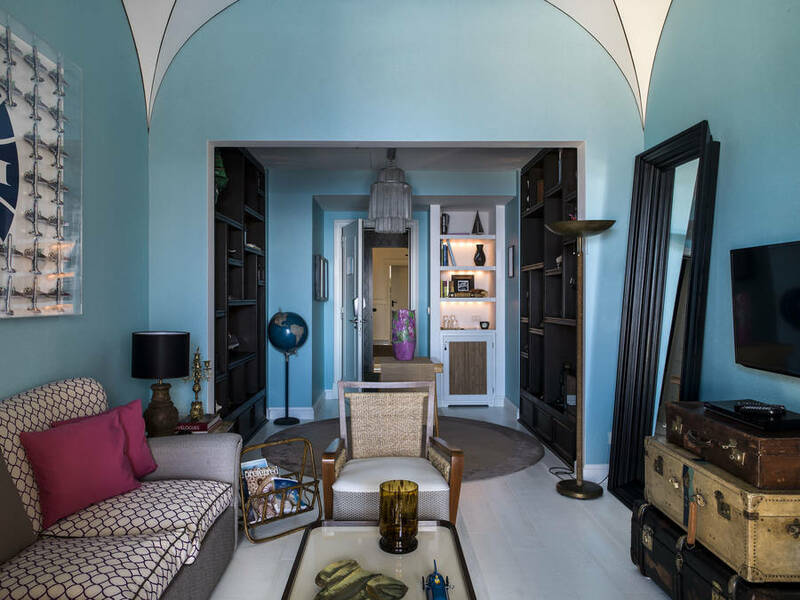 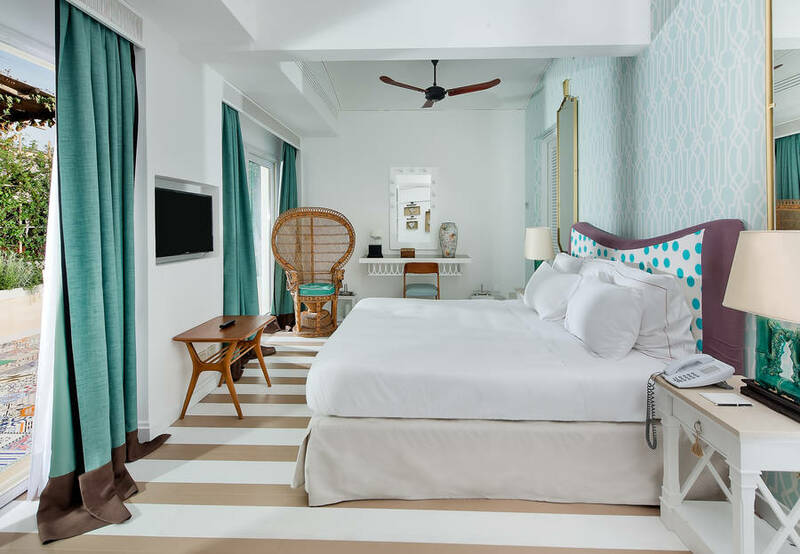 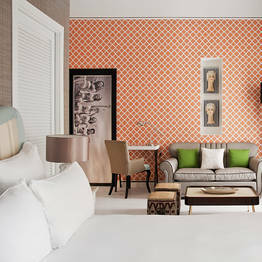 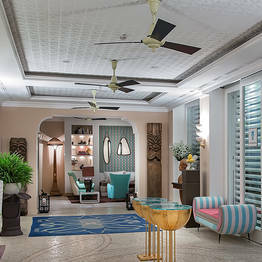 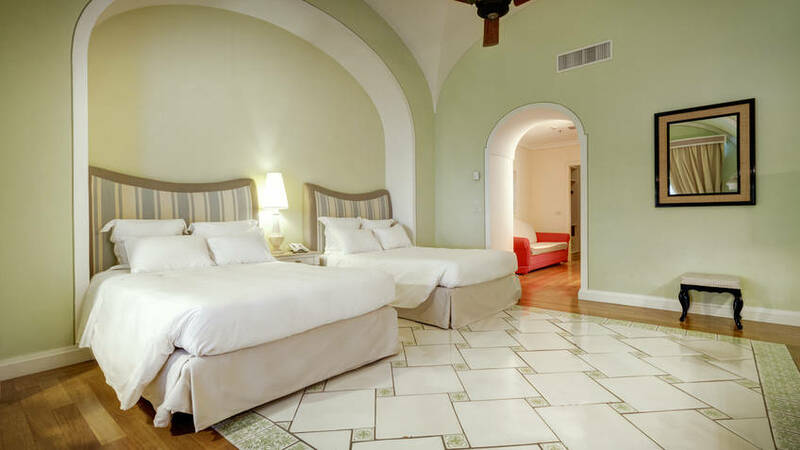 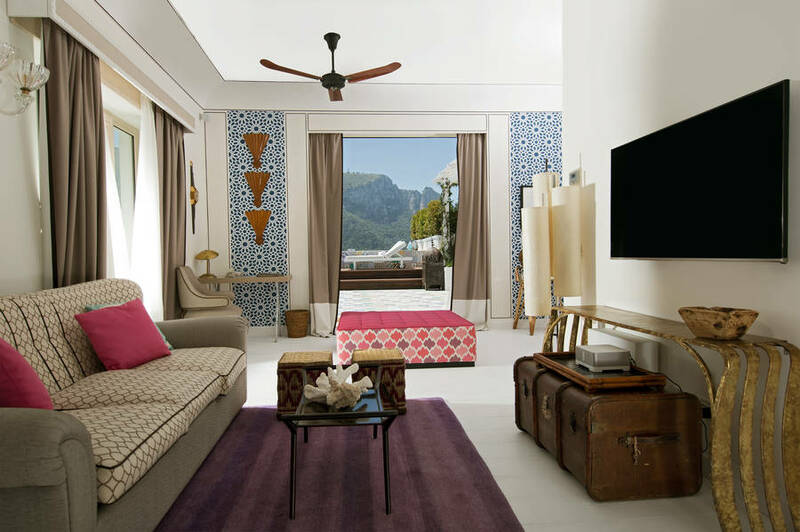 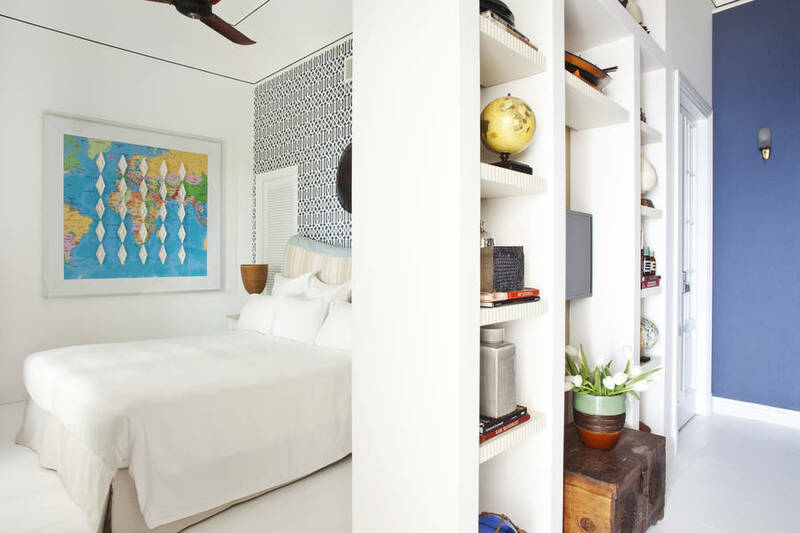 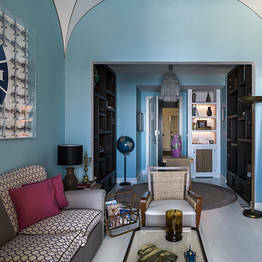 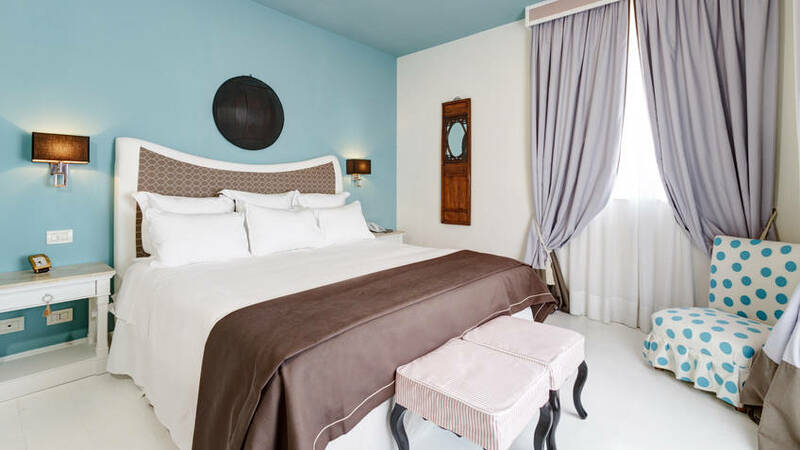 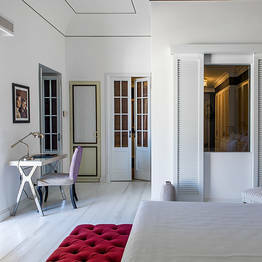 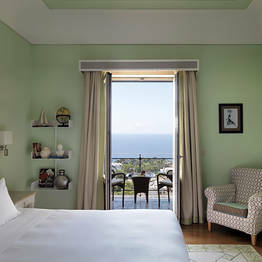 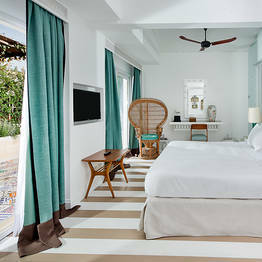 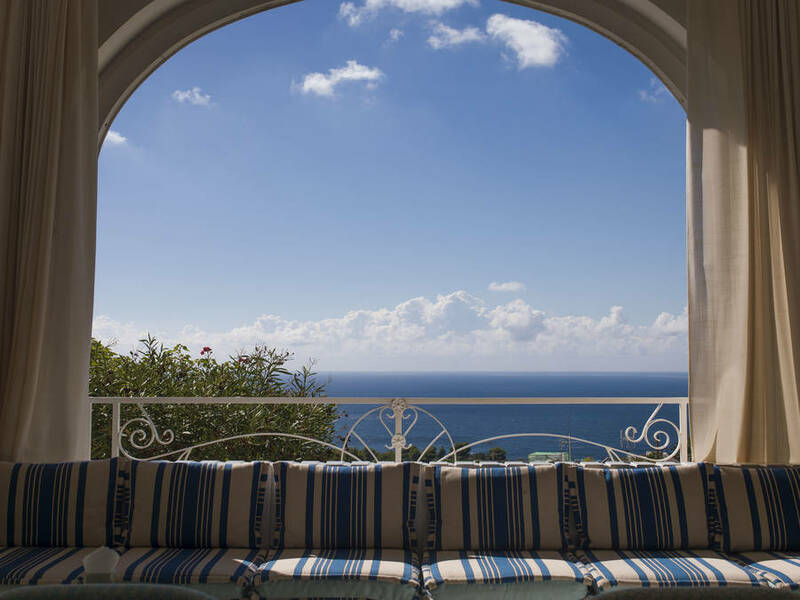 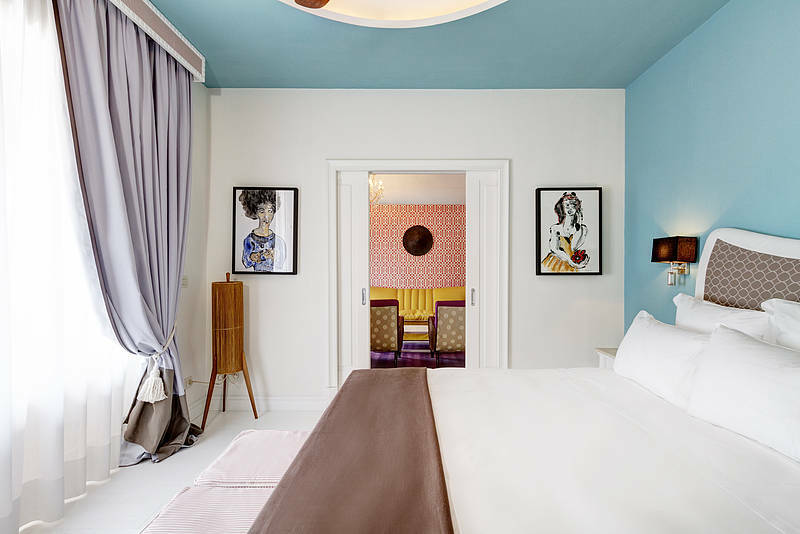 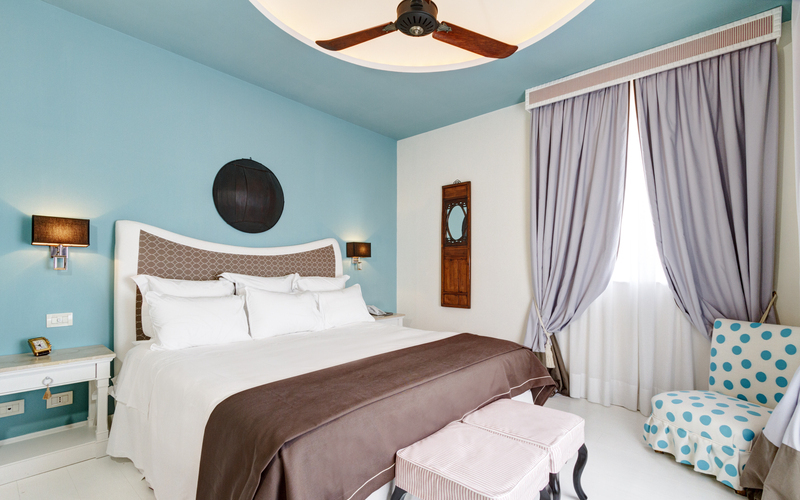 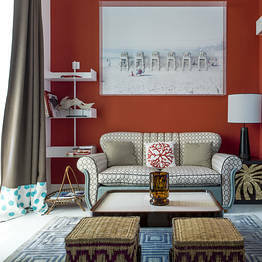 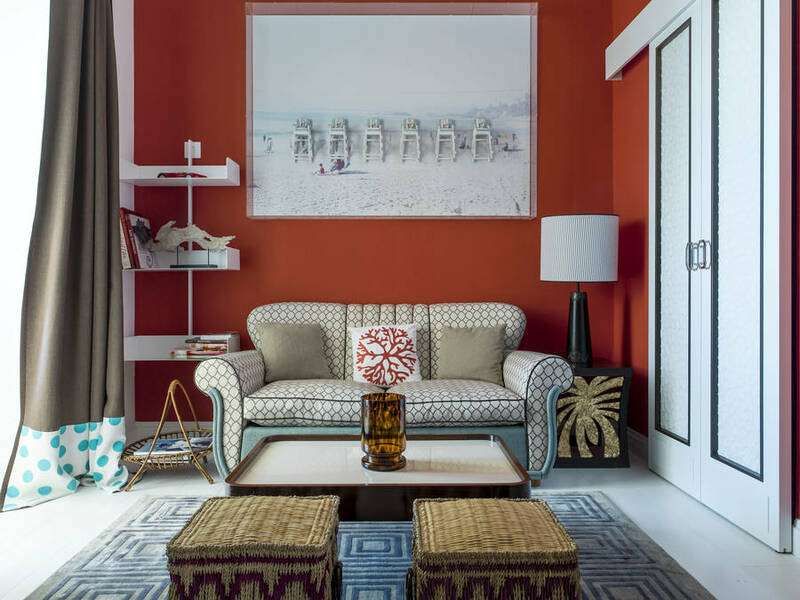 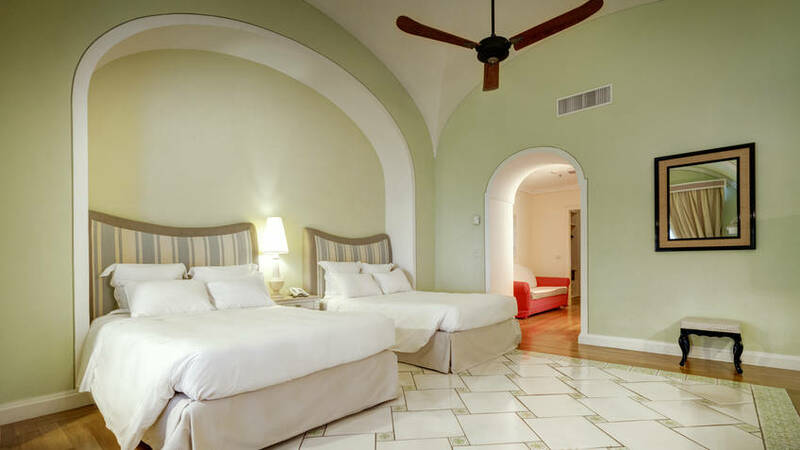 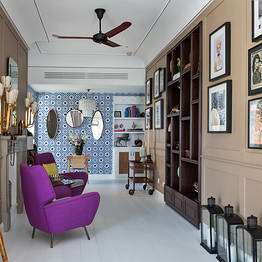 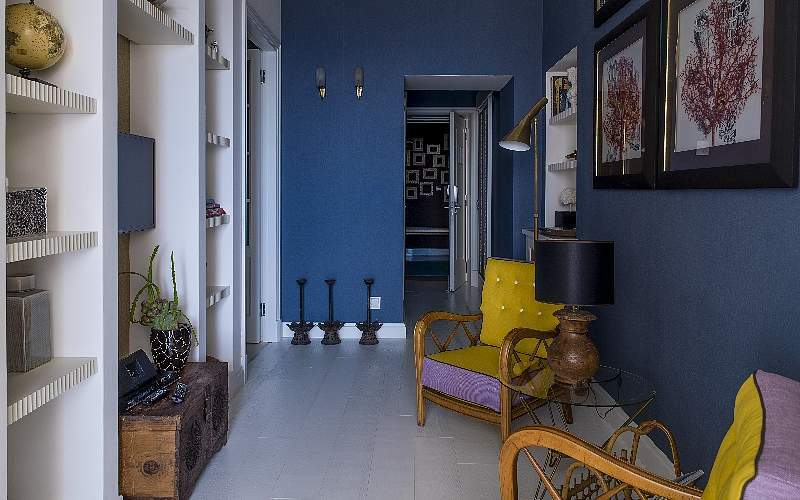 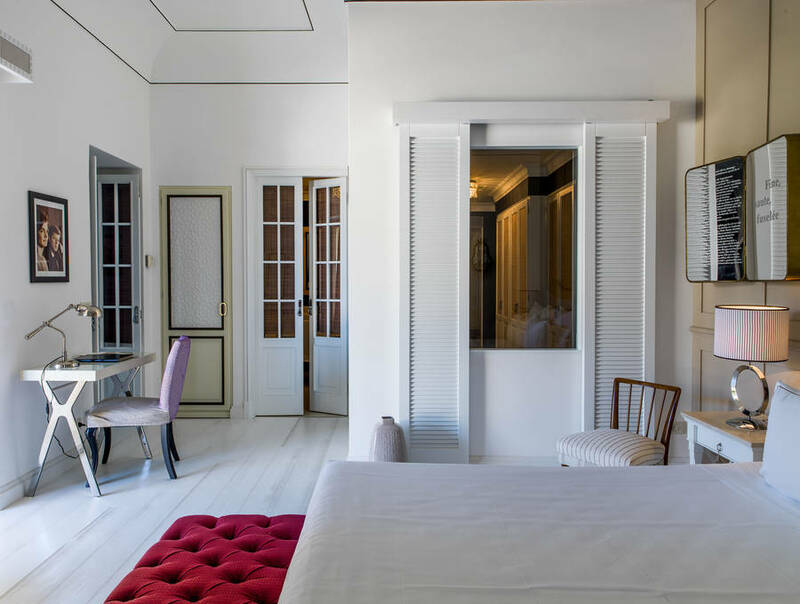 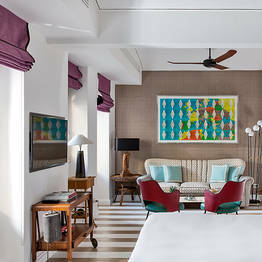 A meticulous renovation program has restored all of the original splendor of a hotel, which, in the early 1900's, was a synonym for the finest Island hospitality. 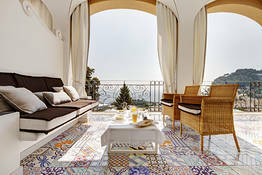 The exquisite furnishings of Capri Tiberio Palace's bedrooms and suites, the stunning views from the balconies and terraces, the wonderful sensorial experiences to be enjoyed in the spa, the impeccable service and the finest Mediterranean cuisine, are guaranteed to satisfy even the most demanding guests. 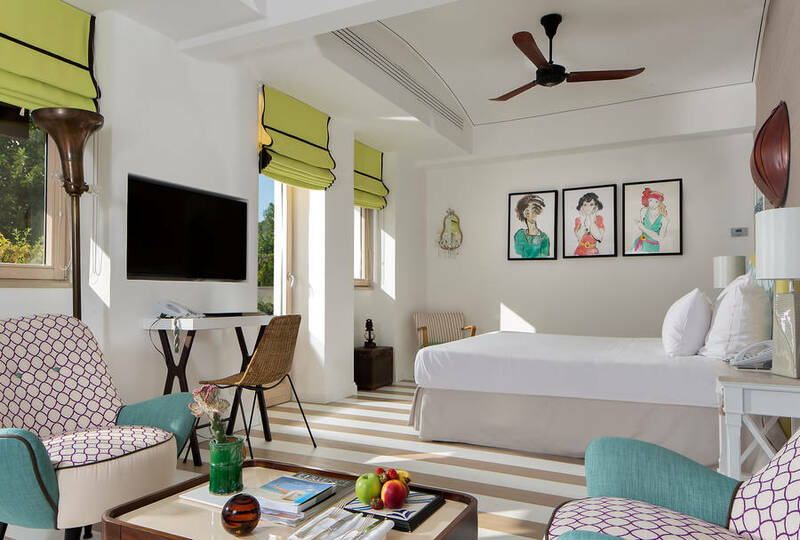 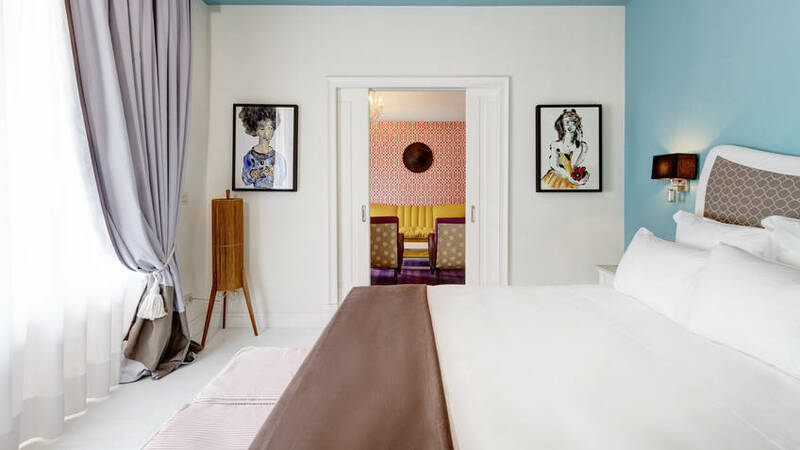 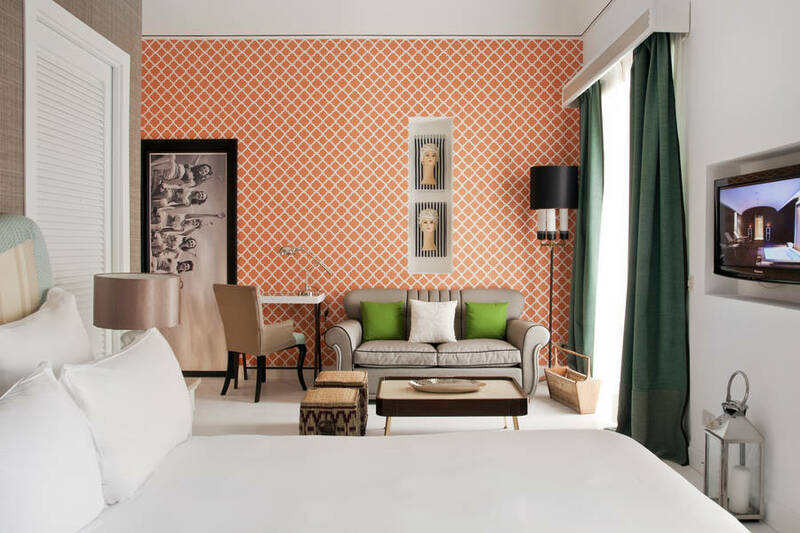 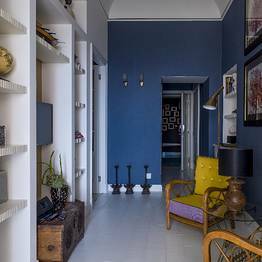 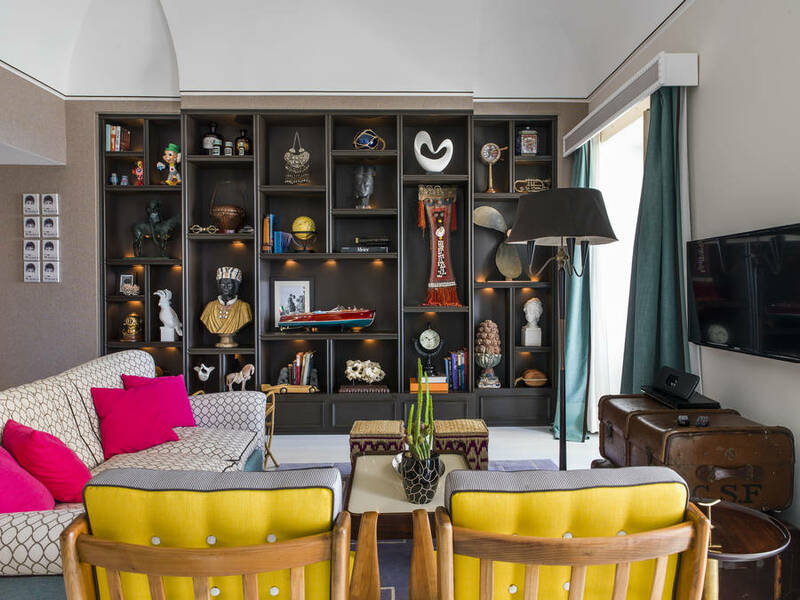 The ultimate in contemporary luxury, the hotel's light-filled bedrooms and suites are decorated with beautiful items of designer furniture and equipped with the latest in technology. 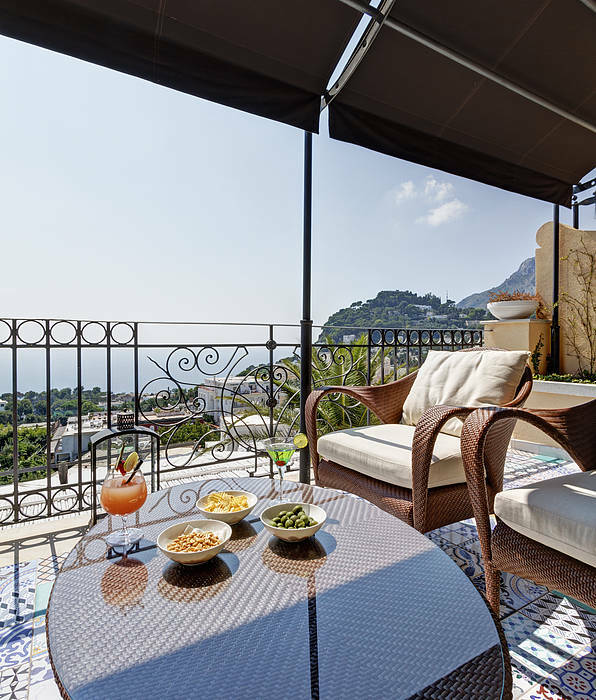 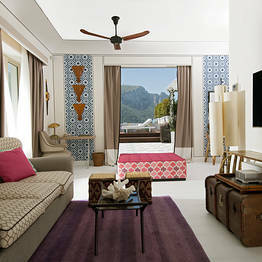 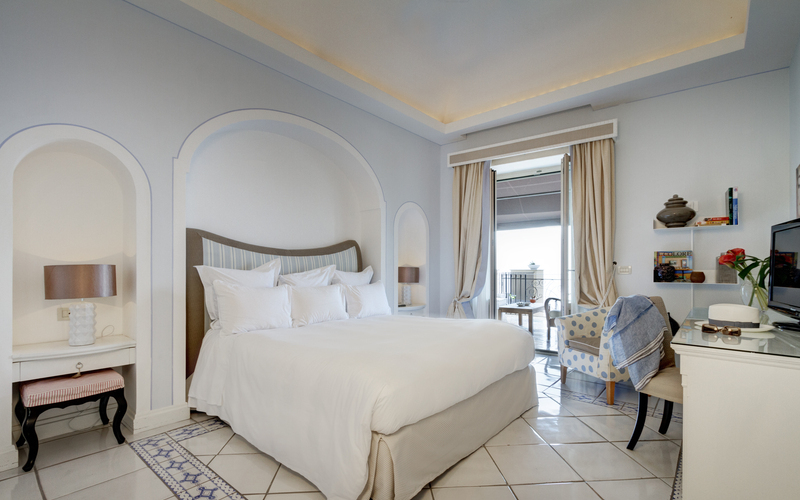 All rooms have private balconies and terraces from where breathtaking views over over the island of Capri and the sea can be seen. 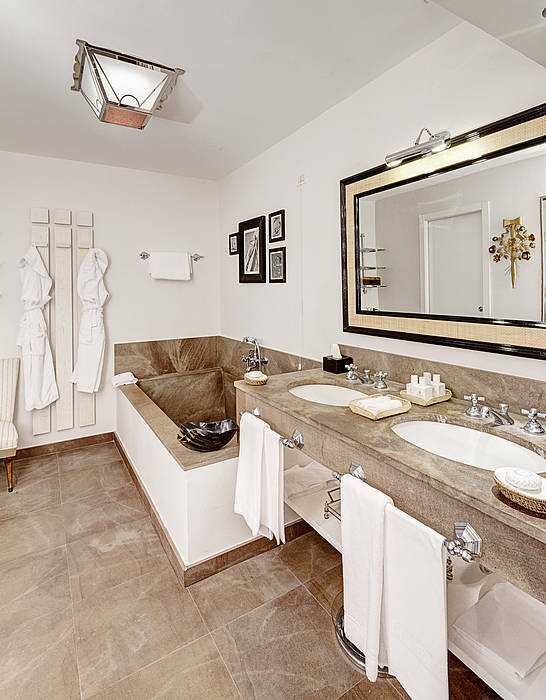 Won't settle for anything less than the best? 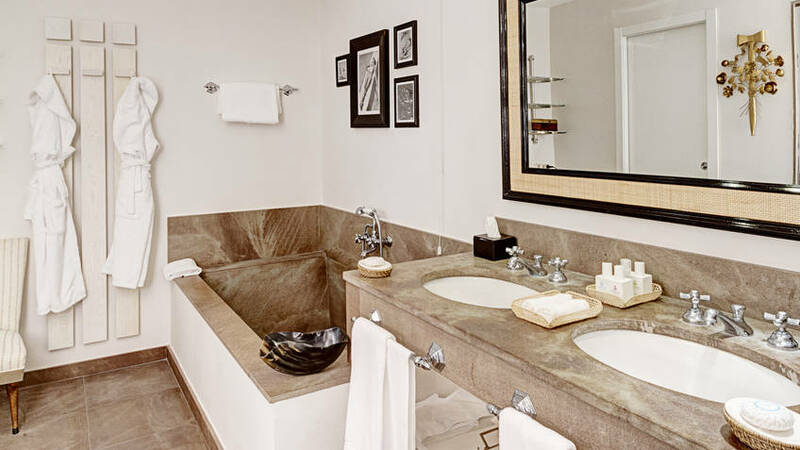 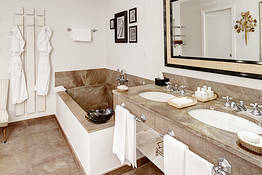 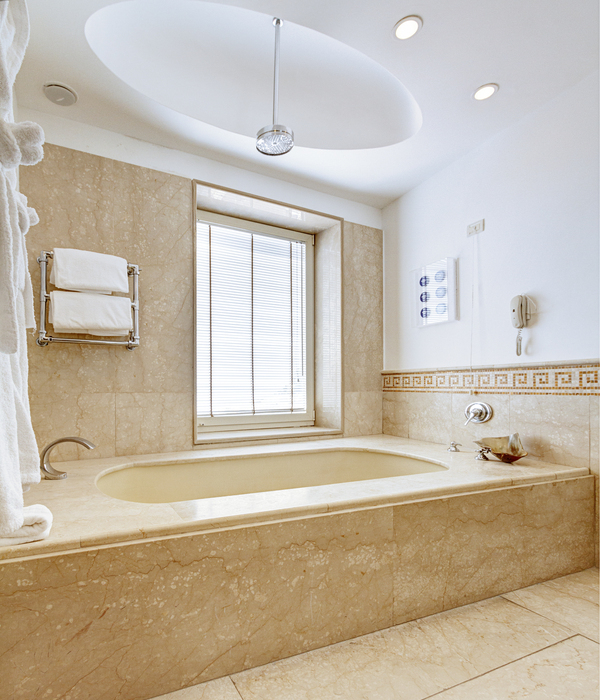 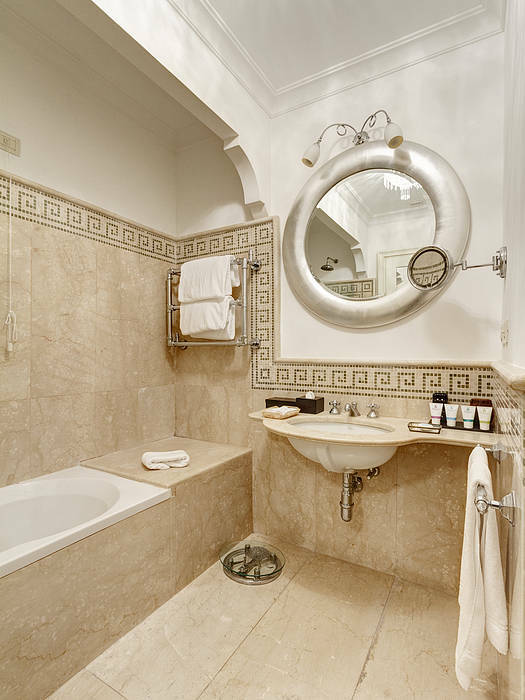 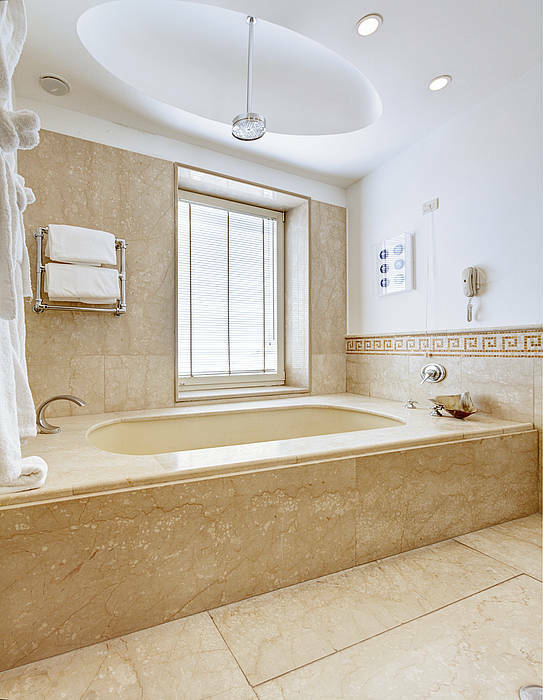 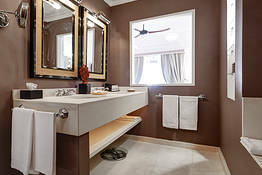 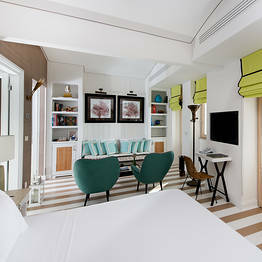 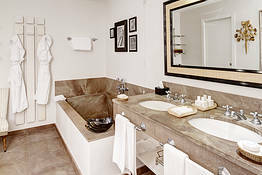 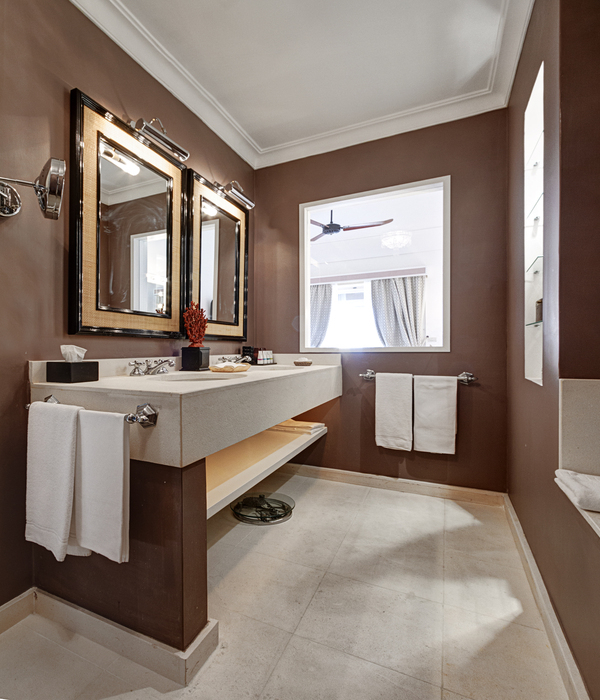 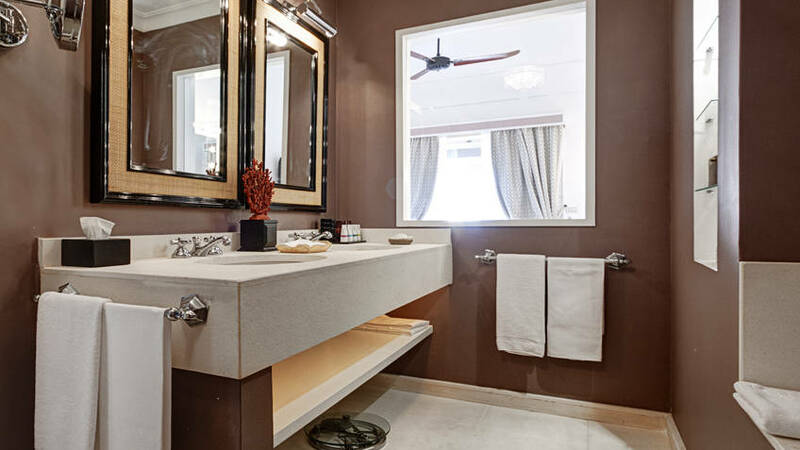 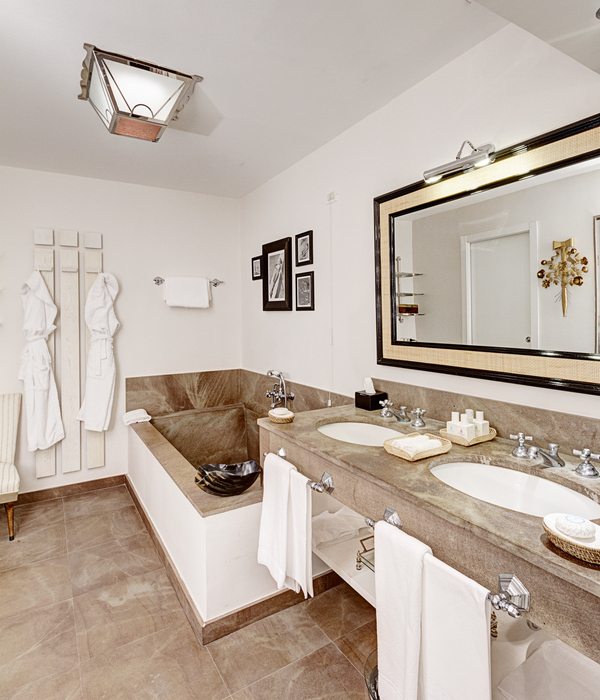 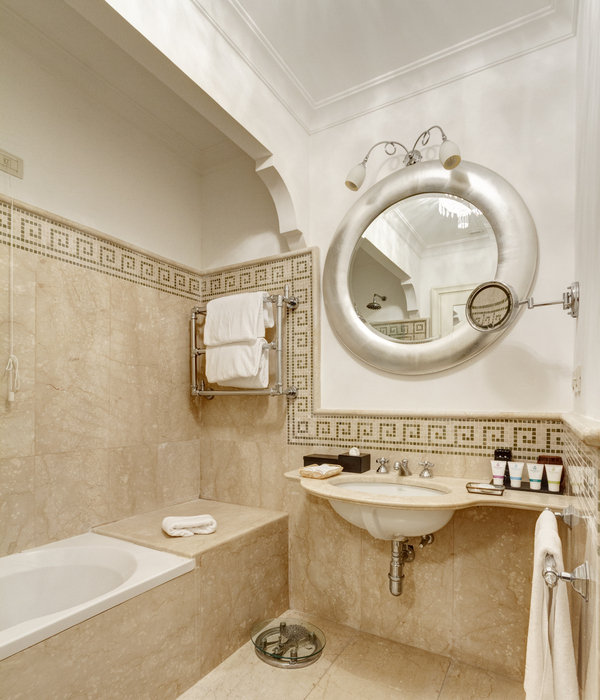 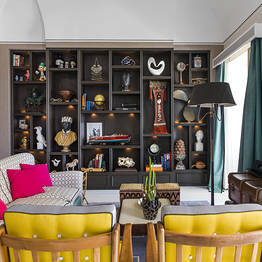 Book the Bellevue Suite: with with private swimming pool and Hollywood style vanity desk. 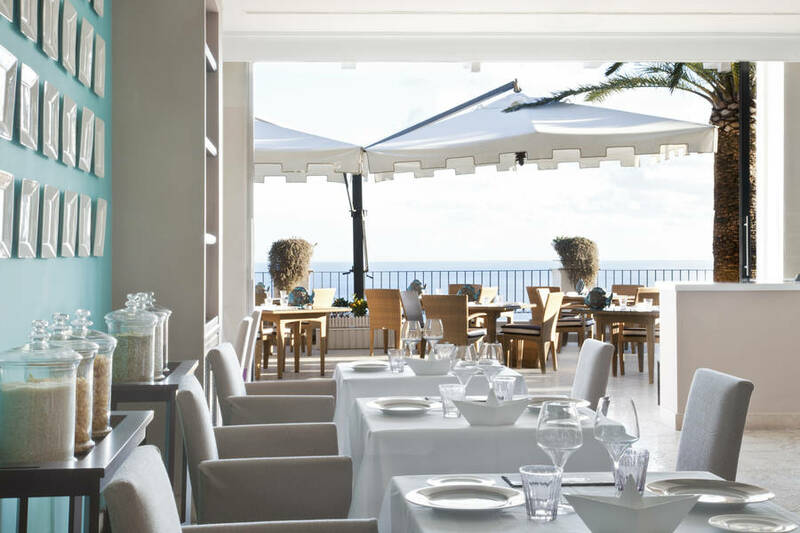 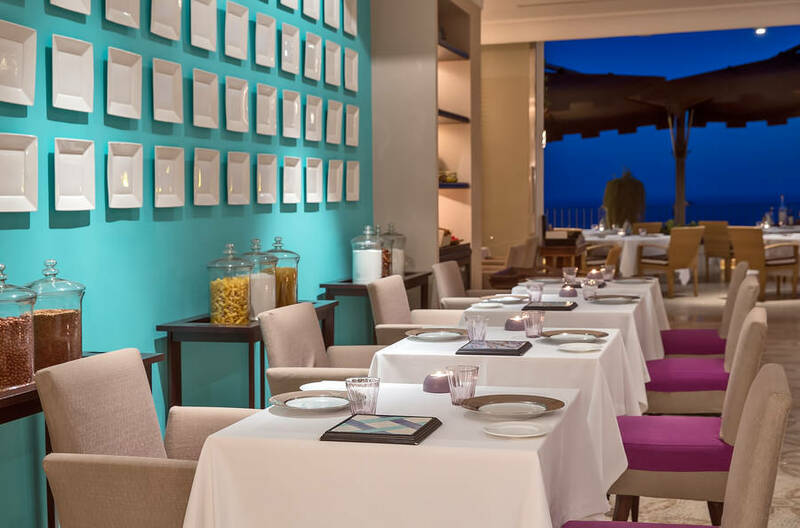 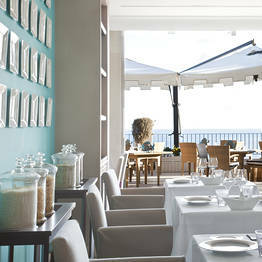 The Terrazza Tiberio Restaurant is a veritable culinary paradise, where diners are treated to beautifully presented Mediterranean cuisine, prepared with the freshest Island produce. 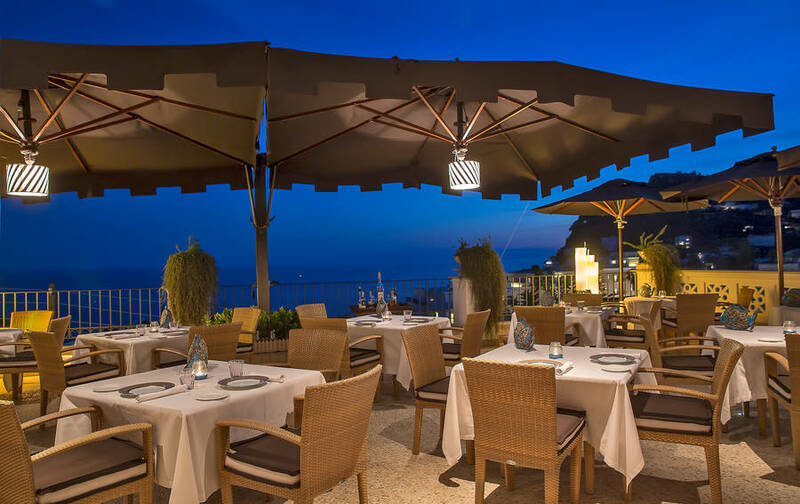 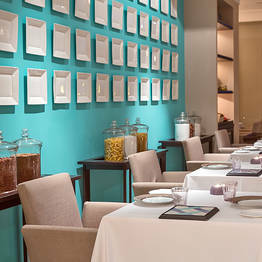 For Jewish clients, Terrazza Tiberio restaurant also offers a menu of certified kosher dishes, the ingredients and preparation of which are all guaranteed by the strictest rabbinical control. 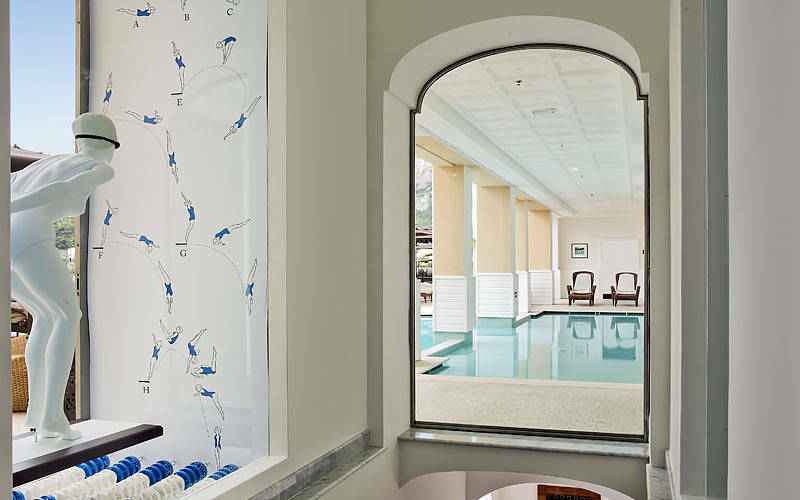 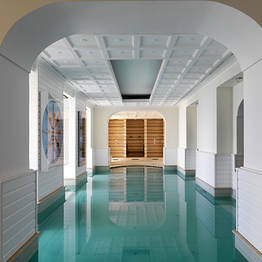 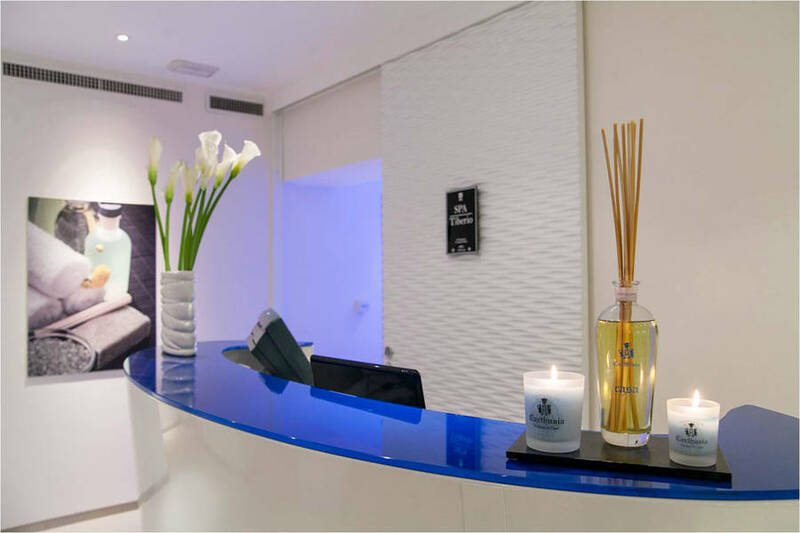 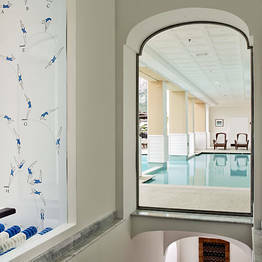 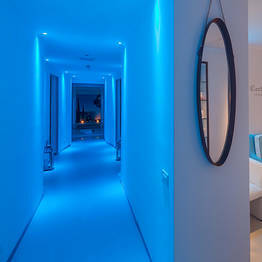 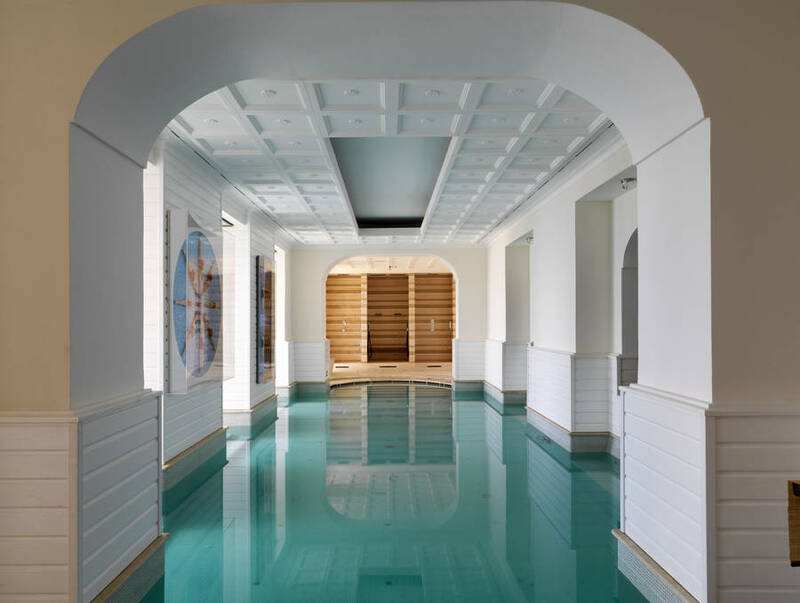 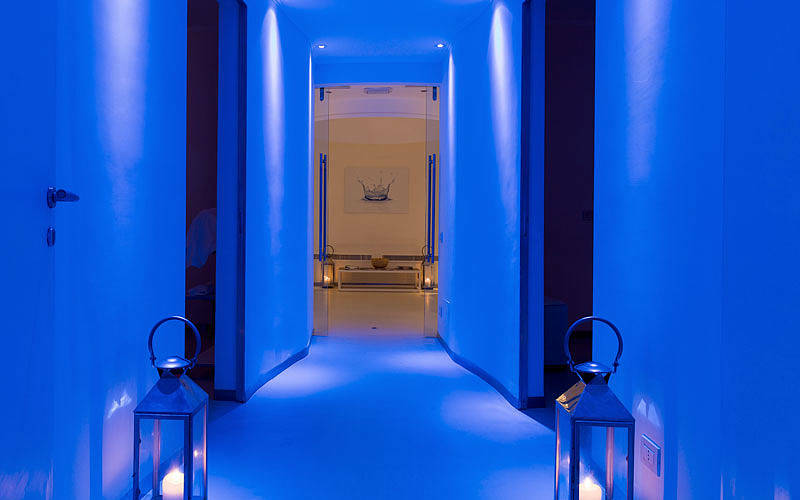 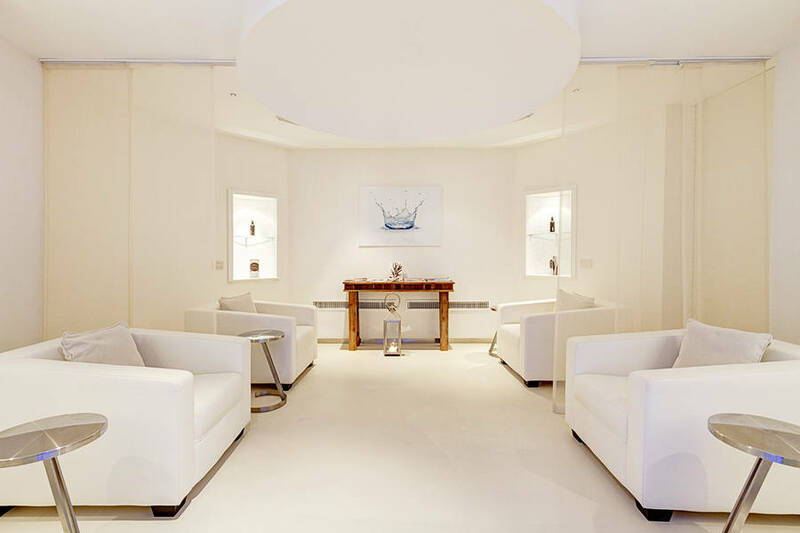 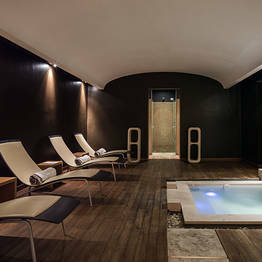 For moments of blissful wellbeing, pop into the hotel's Spa Tiberio, where to indulge in exclusive face and body natural treatments before sinking into the In&Out pool with hydromassage. 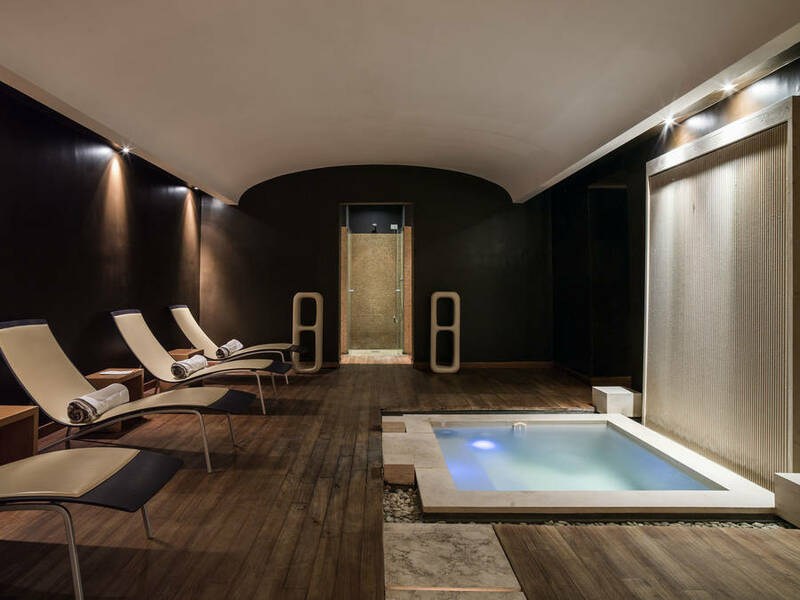 If you're keen to keep in shape whilst on holiday, there is a fitness room equipped with all the latest Technogym appliances. 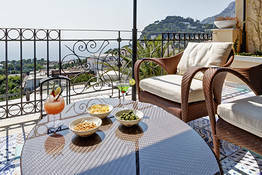 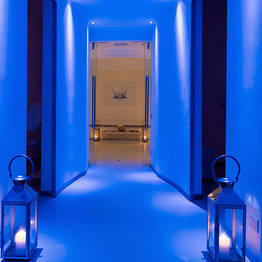 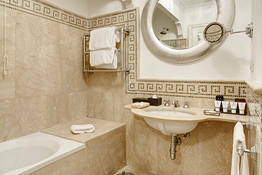 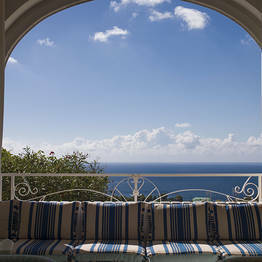 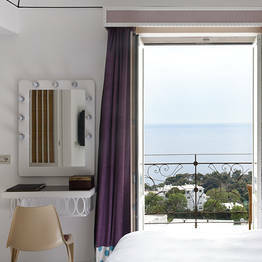 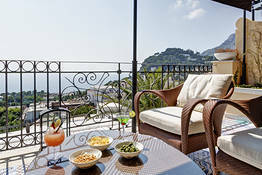 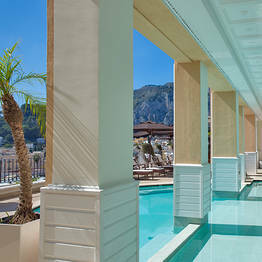 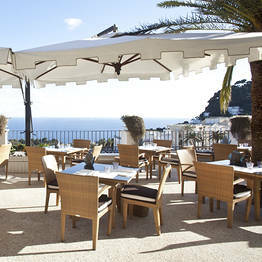 Book Capri Tiberio Palace on Capri.com now with no additional booking fees.